Passed peacefully away after a very brief illness on Saturday, August 11, 2018 at a wonderful age of 97, Jessie Penney (nee Miller). 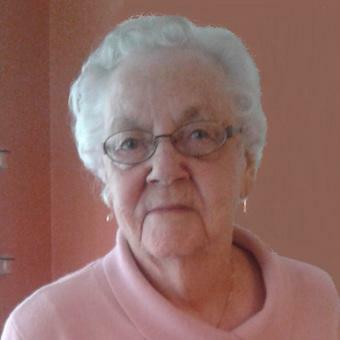 Born in Champney’s East, Trinity Bay, on October 1, 1920. Predeceased by her first husband Cyril Penny and second husband Raymond Penney; her parents: Allan and Suzanna; brothers: Lewis, Robert and Melvin Miller. Leaving with fond and loving memories nieces, nephews and their families: Elizabeth, Allan and Derek; Glen, Donald, David, Janet and Kenneth; Judith and Douglas; stepson William Penney; grandson William Jr.; granddaughter Laura and families; sisters-in-law: Marion Miller and Shirley Miller; special cousin Lorraine Piercey and long-time special friend Diane Pittman. Visitation will take place at Barrett’s Funeral Home, 328 Hamilton Avenue on Wednesday, August 15, 2018 from 2-4pm and 7-9pm. Funeral service will be held from Barrett’s Chapel on Thursday, August 16, 2018 at 11:00 a.m. Interment to follow at The Anglican Cemetery, Kenmount Road. As expressions of sympathy donations may be made to a charity of one’s choice. Please visit www.barretts.ca to sign the online condolences.